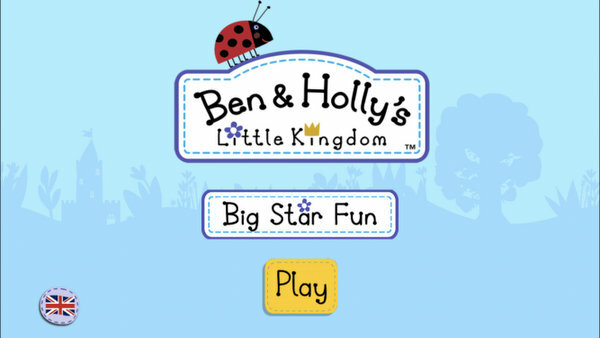 We love Ben & Holly's Little Kingdom, so of course we were happy to be a part of the their Magical Days of Summer campaign. There are bound to be rainy days eventually, and we will be spending them watching Ben & Holly and playing with these fantastic toys! We have received the Ben & Holly's Little Kingdom: The Magical Collection set of 4 DVDs, the Thistle Castle Playset, a Violet Figure and Accessory, a Little Library collection of 6 books, a Memory Game and a Puzzle as well as the Big Star Fun App to play with on the go. The DVD set includes 4 different DVDs which each have a selection of episodes of the programme. This is going to be perfect for rainy summer days or even to take away on holiday and watch on the go! Ivy absolutely loves a little set of books, so this Little Library of six books is absolutely perfect for her. It's so small that it's easy to bring along with you on long car trips or on holiday as well, these books are definitely going to be read many times over the summer! The six books focus on the different characters in the show, which the children love as they each have their favourites and choose to read those ones first. Of course I am also loving the fact that these books are easy enough to read that Ethan can read them to Ivy himself, and they're both kept busy without any interference from me! There are also pictures on the back of the books which you can line up to make a sort of picture puzzle, which the kids love to do as well! The Memory game is also lovely, it comes in a small box which would also make it ideal for travel if you're spending some time in a cottage and might want some indoor fun. It is easy to set up and can be played by children of all ages. Ethan and Ivy love playing the memory game together, it's so great for building their memory and observational skills. And they have so much fun collecting their favourite characters. The puzzle is also a great one for playing indoors on those less than perfect weather days. It's got 35 pieces which are fairly small, so it was a bit advanced for Ivy (4) on her own, but perfect for Ethan (6) to help her with and make together. I am sure with a bit of practice she will be building it on her own as well! We also received a little figure and accessory set, of which we got Violet and her butterfly. These are really sweet and small, but also quite robust, perfect for some small world play. The children were most excited to open up the Thistle Castle Playset! It's just like the castle on the show and comes with quite a few different accessories including Holly, her bed, throne and mirror as well as some magical items. The children absolutely love all of the magical items, like the treasure chest that opens on both sides so that it can appear full or empty. Ivy thinks she's doing real magic when she plays with that one! It is also great for some small world play, because we also have the Violet figure the children each had a little fairy to play with and could make up a little story about them causing some magical mayhem within Thistle Castle. There are so many little touches that the children can be kept busy for ages! The toadstool in the front of the castle turns and that opens up the front door, which they actually discovered themselves and were so excited! This is definitely becoming one of their new favourite play sets!